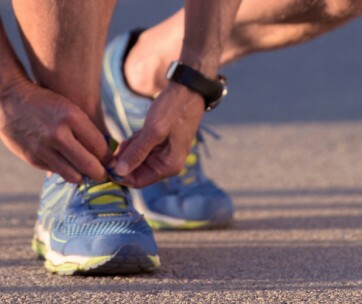 Everyone does their best to be prepared before they hit the track, the treadmill or the road. No one ever plans to be sidelined by a painful side stitch. But unfortunately, it happens to everyone at some point. And when it does the questions come fast and hard: What am I doing wrong? Was it something I ate? Am I running too fast? Did I not warm up enough? The unfortunate fact is there is not one single answer when it comes to what causes a side stitch. It could be any one of a number of things. Nor is there any single way of dealing with them. Below we’ll look at some ways you may be able to side step the side stitch as well as ways to deal with them when they raise their nasty little heads. Strengthen your core – Side stitches are a core phenomenon. Therefore it would follow that by strengthening your core you can reduce the odds that one will occur. Most trainers recommend at least 10 minutes of core building exercise three times a week to steel yourself against the possibility of side stitches. Planks and donkey kicks are two such exercises. Keep in mind too that a stronger core will pay all sorts of other dividends as well. Don’t eat before you run – Eating right before running is one of the few ways to practically insure you’ll experience a side stitch. It doesn’t really matter much what you eat. What matters most is when you eat. There are suggestions floating about the internet that you can eat shortly before running as long as you avoid high fat foods. But there is precious little science to back up such claims. And a boatload of circumstantial evidence to dispute them. The best thing to do is avoid eating for a couple of hours before running. Be sure to warm up – Aside from eating right before running the exact causes of side stitching are still something of a mystery. But since they occur while you are exerting yourself physically it makes sense that warming up before you hit the road might help stave off their development. Rather than making an abrupt transition from sitting to running try making a more gradual transition from sitting to stretching to walking to walking briskly and then to a light jog for a few moments right before it’s time to start running. Stand up straight – It could be that your 3rd grade teacher who was always on you for your tendency to slouch was on to something. A study published by the NIH in 2010 found a relationship between poor posture and the occurrence of side stitches (technically called Exercise-related Transient Abdominal Pain or ETAP). According to the study people who exhibited either an inward or outward curvature of the spine were more susceptible to side stitches. The study also found that body type alone did not influence the occurrence of side stitches. Breathe deeper – When your muscles are working they need more oxygen than they do when you’re just sitting at the computer or watching TV. If you take shallow breaths while you run you may not be providing those muscles with all the oxygen they need and a side stitch may be one possible outcome of this oxygen shortage. This is another reason why it’s important to warm up: to get your breathing going before you edge up to the starting line. Once you do get moving be sure to take nice deep breathes. Don’t stop – There are a lot of theories about how to deal with a side stitch and among the more effective ones is to make sure you don’t stop running if you get one. It may hurt. It may hurt quite a bit. But if you stop it’s not going to make it stop hurting, it’s just going to disrupt the flow or your run or workout. If you need to slow down a bit that’s fine. But don’t stop. Sync your breathing to your footwork – So you developed a side stitch while running and had to slow down. The stitch eventually passed but you’re wondering if there’s a way to speed up the process a bit. 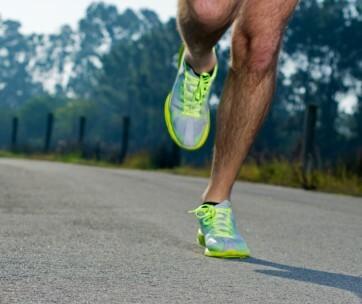 Some runners report that if they sync their exhales with the foot on the opposite side of the stitch hitting the ground it neutralizes the stitch in short order. So if you were exhaling every 2nd step continue to do so, just sync the exhale with the foot opposite the side stitch hitting the ground. Don’t drink sugary drinks – If you developed a side stitch while running you may think it’s a result of being dehydrated. And that may have something to do with it. But don’t try to alleviate it by drinking fruit juice or Gatorade. Studies have shown that while sugary drinks won’t cause side stitches they will exacerbate them. So don’t drink apple juice or big G to reduce the symptoms of a side stitch. Reach for the water instead and consume it in measured amounts. Ye Olde pinch-a-roo – If simply slowing down and/or syncing your breathing to your footwork hasn’t worked for you the next time you get a stitch try slowing down a bit and placing your hand over the pain. While continuing to run pinch the painful area between your fingers and your thumb as you exhale and then release as you inhale. Continue doing so until the side stitch dissipates, which shouldn’t take more than 5 or 10 breaths total. Don’t worry – Above all don’t worry that something is wrong with you if you have a side stitch. They’ve been around since humans first chased antelope across the plains to secure dinner and they’re nothing to worry about. So if you’re trying to figure out how to deal with a side stitch the most important thing is to relax. Accept it. Take the above steps to alleviate it and move on.